From petitioning national lawmakers to provide more funding for stomach cancer to holding survivor banquets in their backyards, volunteers at Debbie's Dream Foundation are dedicated to ending the disease. At the core of any movement, whether it’s political, economic, religious, or societal, is the grassroots efforts of a few individuals who are united by a common goal. Fostered by a spirit of outreach, volunteers at Debbie’s Dream Foundation (DDF): Curing Stomach Cancer have devoted their time and efforts to the stomach cancer community. Christy and Tony Leonard of North Carolina were initially on the receiving end of one member’s time, consideration and support. Tony received a telephone call from the Maryland chapter’s founder, Gae Rogers, after Christy contacted the group and poured out their story. Rogers is a stomach cancer survivor herself. “Gae has made a huge difference — from providing support, giving me hope and by answering a lot of our questions. She was a resource that is just not available anywhere else,” Leonard told CURE magazine. Tony was initially diagnosed in 2012 on his 39th birthday with a very serious and rare form of gastric cancer called linitis plastica. It was one of many telephone calls that spurred the couple’s further involvement with the group. Sharing their common experiences of going through a difficult treatment regimen, surgery, recovery and complications, “was the best part of our involvement with Debbie’s Dream Foundation,” says Tony. The couple’s involvement has grown over the years and has ranged from participating in DDF’s Annual Advocacy Day in which legislators in Congress were asked to include stomach cancer research in their budgets to holding barbecue cookouts at their home and inviting other patient members and their families. As a mother of five, Christy’s focus on how stomach cancer affects the whole family, especially the children, fuels her involvement. “People need to understand that when you survive the disease, there needs to be a focus on the survivorship of the entire family, for the caregivers and the children. You need to know that you’re not alone. And I cannot emphasize that enough,” she says. Patients with gastric cancer face complex abdominal surgeries and heavy regimens of toxic chemotherapy and radiation. According to the foundation, gastric cancers—those that begin in the stomach, esophagus, or the junctions of these two organs — account for 37,600 new cancer cases in the United States each year and 25,150 deaths. Of these, 21,000 are stomach cancers resulting in 10,600 deaths each year. Because it is relatively uncommon in the United States compared to other cancers, stomach cancer does not get nearly as much funding. The group is compelled to petition lawmakers to increase funding for stomach cancer to change the landscape of the disease and for those affected, says Debbie Zelman, the founder and president of DDF. Through its efforts on advocacy days, in which group members meet, train and strategize, members descend on Capitol Hill to educate members of Congress about how stomach cancer affects their respective states and local districts. “By our second Advocacy Day in 2014, we were successful in adding stomach cancer research funding to the Department of Defense’s Peer Reviewed Cancer Research Program (PRCRP),” says Zelman. The result was that stomach cancer is now included as one of the 11 cancer research areas eligible for funding under the PRCRP. “We told lawmakers two years ago that we weren’t looking for money right now, but we would like a seat at the table,” she says. The group got a lot more than a seat, with an initial line item of $25 million earmarked for research in 2014, which has grown to $50 million this past February 2015. 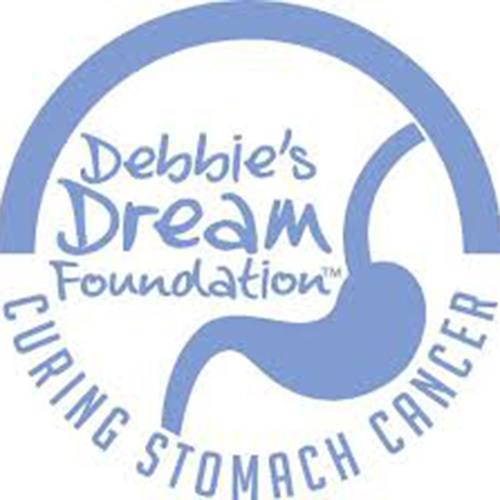 Debbie's Dream Foundation: Curing Stomach Cancer is a 501(c)(3) non-profit organization dedicated to raising awareness about stomach cancer, advancing funding for research, and providing education and support internationally to patients, families and caregivers. DDF seeks as its ultimate goal to make the cure for stomach cancer a reality. More information about Debbie’s Dream and how you can get involved can be found at their website.